An exciting and unique opportunity for schools to participate in a dedicated primary science conference. On Friday 7th June, 2019, The PSTT Children's Conference at PSEC will welcome up to 30 schools from across the UK to share their climate change based projects. We are encouraging ALL primary schools to apply for a FREE Teachers’ Project Pack and carry out a project – it is open to all and not just those schools bringing their children to PSEC. The Project Pack includes lots of tips and suggestions to get you started, and you'll receive support throughout your project direct from the team at PSTT. Once you've got your project up and running, you could consider applying to present it at PSEC next year; details of how to apply will be coming soon. Carrying out a project will help raise your children’s awareness of climate change and encourage them to generate ideas to address the various climate change issues that we face. The children can explore issues that are global, regional or local to their school. Please view our comprehensive brochure to find out more information. 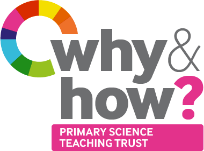 The Primary Science Teaching Trust (PSTT) recognises that personal information (name, any personal telephone number and email addresses) will be included in the data we collect when you make enquiries about the Children's Conference at PSEC or register for the Project Pack. PSTT will use the information that you provide on this form for operational purposes in delivering this event and to fulfil contractual obligations. We will not share your information with other organisations unless required to do so by law. For further information on how your information is used, how we maintain the security of your information and your rights to access information we hold on you, please contact: Sue Martin, PSTT Programme Director on 0117 325 0499. - Carry out a science project based on a climate change issue relevant to your local area. - All schools who sign up will receive a free Climate Change Teachers' Project Pack. - Further support available for schools throughout the project. - Apply for your school to present their project at the PSTT Children's Conference at PSEC in June 2019. - Open to all primary schools.